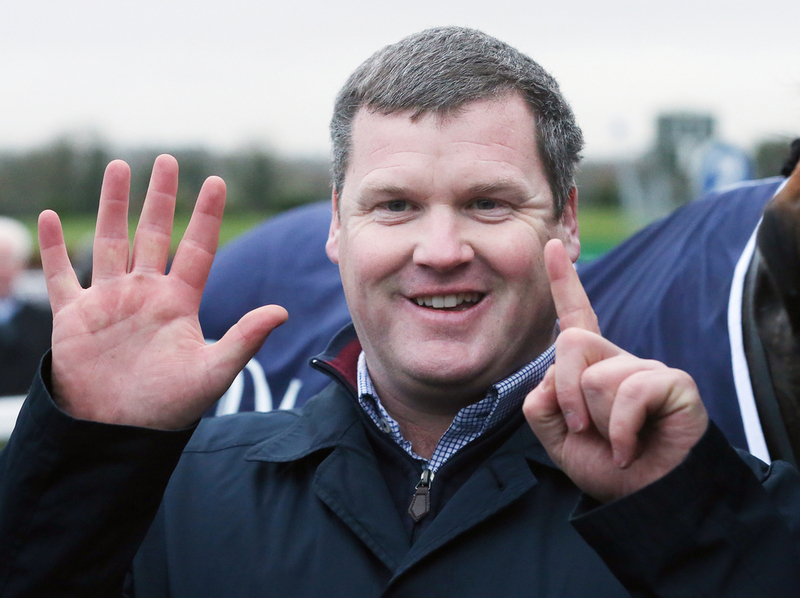 Leading Irish trainer Gordon Elliott could field up to 30 percent of the Grand National field on Saturday and he has revealed which jockeys will be on board which horses. Elliott has always said that if all his horses make the cut for the proposed 40 runner contest he will field them all and with 12 currently said to go to post it will be a record number of horses in the Grand National from just a single trainer. Top amateur jockey but very experienced in the industry is rider Jamie Codd and he rides Mala Beach for the Irish trainer, In what will be only his second start in the prestigious race. Codd, on his first start back in 2017, rode for Elliott again and gave the multiple Cheltenham Festival, Causes of Causes, a great ride to finish second. The Irish jockey will be heading into the Grand National Festival in some smart form when winning twice at the Cheltenham Festival, the second of those runs coming on board the Gordon Elliott trained Envoi Allen. (Credit Racing Post) Elliott said: "There was a doubt about Mala Beach running but we've decided to let him take his chance and Jamie is booked to ride him." Another Champion amateur jockey that picks up a ride for Elliott is Patrick Mullins who will be saddling Don Poli in the four mile 2 furlong contest for just his third appearance. Two other jockeys who it will be a completely new experience for when riding for Elliott on Saturday is Luke Dempsey and Andrew Ring who are set to sit on board Folsom Blue and Blow By Blow, this is there first ever start in the race. JJ Slevin joins up with his old mate General Principle. His renewed association with the horse could spark another great performance as one of the last times they worked together they went on to land the 2018 Irish Grand National. Elliott currently has 12 runners that definitely have a place in the race with the trainer needing just one horse to drop out so his veteran runner Bless The Wings can make the cut. If this does happen the Irishman will have 13 out of the 40 runners on the day breaking Martin Pipe's record back in 2001 where had 10 runners go to post.